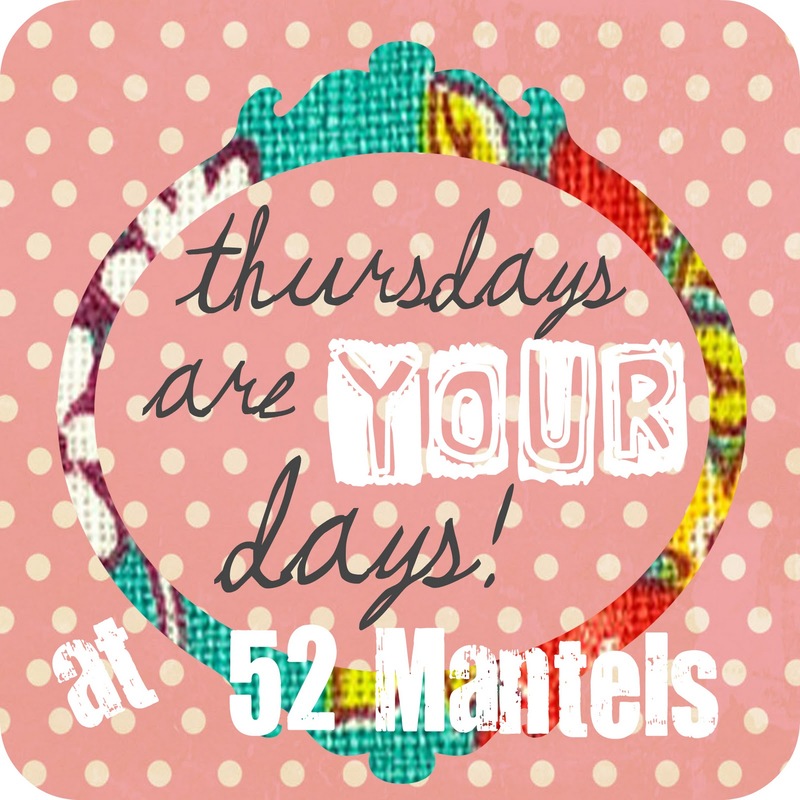 52 Mantels: Thursdays are YOUR Days (5) PLUS giveaway from Xperience Days! Thursdays are YOUR Days (5) PLUS giveaway from Xperience Days! Welcome to our fifth addition of Thursdays are YOUR Days! Today I've got an awesome giveaway to tell you about before we get this party started. Xperience Days is giving one lucky reader a $50 gift certificate to be used on one of their incredible and unique gifts! Anyone out there have a husband who is seriously hard to shop for? Consider getting him the unique gift of an awesome experience from Xperience Days. What's cool about Xperience Days is that you can pick your city and they'll give you a list of awesome experience packages you can gift to a loved one. I picked my city (Dallas) and my price range (under $100) and found several awesome gifts I might pick for the hubby: Zipline Texas, Corvette Ride at Texas Motor Speedway, BYOB Painting Class. Okay, that last one's for me. But, seriously. There are some cool and unique experiences available!! I might even choose an Indian Cooking Class for Two. Because, let's face it, unique date nights are hard to come by! So...want to win this awesome giveaway?! I'm so glad, because I want to help you do just that! And, now onto other business.. Thank you all for the sweet emails and comments yesterday. Yes, the hubs and I are feeling much better today! So, why am I still behind?? Well, sad to say, my daughter is NOT well. Turns out she has a respiratory virus called RSV. My momma-heart is sad, y'all!! I promise I won't turn this blog into a diary of our ailments, but c'mon. Can we get a break?! Number of times this evening I've been puked on after a horrid coughing fit=3. Number of times this evening I've been smiled at, hugged or otherwise melted by incredible sweetness=47. The good news? I'm still winning. Now...It's that time again...the day when you get to show off YOUR awesome projects!! You know I love seein' whatcha got, right?? Ohhhh nothing breaks a heart more than sick babies...no matter how old they are. Wishing your daughter a speedy recovery. Thanks for hosting another great party! So glad to hear you're feeling better but so sad to hear your punkin' isn't. Praying she gets better soon! Thanks for hosting (I am going to think of you as a blog-twin since you told me we started our blogs at the same time!). Thank you for hosting! Glad to be back :) Sorry to hear about all the sickness going around. We too have had our fair share of viruses! Good news...Spring is right around the corner :) Have a wonderful weekend! Thanks for a great party- I just discovered your site today & linked up my Valentine Mugh Cookies. Have a great day! Following you on Linky Followers! Hm, any new, unique things to do in Pittsburgh for my husband. He loves to get to know a city. I would like to go on a hot air balloon ride. i would like to win the zipline in nc for my nephew! The Chocolate Workshop looks awesome! I'd love to take a Helicopter Ride over Atlanta with my husband! I would love to take my husband on the Butchart Gardens Tour For Two in Seattle,WA.